After the world premiere of Justice League: Gods & Monsters, DC Entertainment announced the next slate of animated films to be released in 2016. 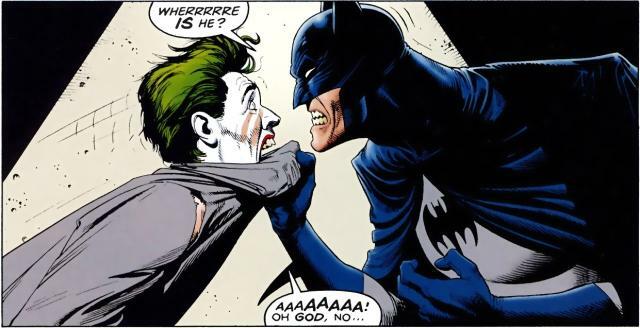 The biggest one is the surprise announcement that Batman: The Killing joke will be arriving in animated form. Adapted from the classic comic story by Alan Moore and Brian Bolland the animated adaption will be arriving in 216 with a brand new 15-minute prologue written just for the film to go with it giving long time fans something new to look forward to. Along with Batman: The Killing Joke, the next two films in the DC Animated universe continuity will be Batman: Bad Blood, which will introduce Batwoman tot eh films, and then Justice League vs Titans which will feature the Teen Titans. All three films will be headed our way in 2016.